The origin of the word “sauna” is rooted in Finnish language. It is generally believed that savuna, literally meaning “in smoke”, gave birth to “sauna” at a later date. Finnish saunas of earlier time were known as savuna. Local people used to burn wood blocks in stone stoves to fill a log cabin with smoke. Once the interior reached the desired temperature the smoke was ventilated and bathers could step inside to take a rejuvenating dry or steam bath. 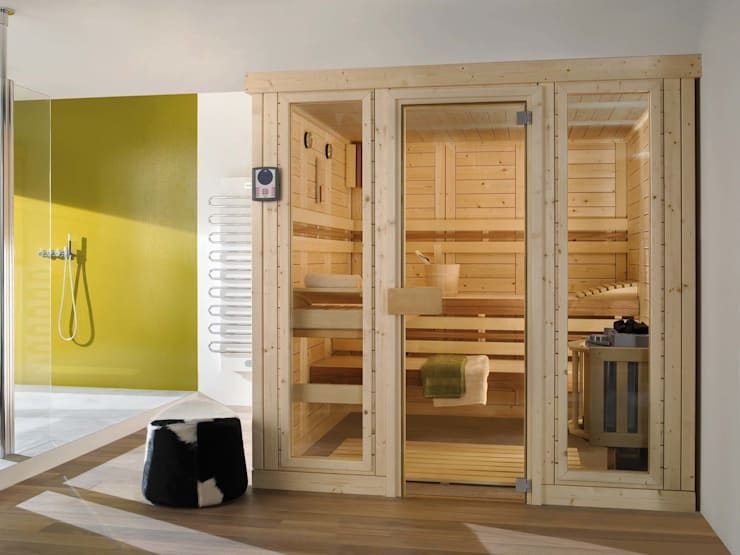 With advancement of technology, the popularity of saunas showed a rapid increase. Like Turkish bath, saunas too were once a group activity. But now you can and perhaps have already started to enjoy a refreshing steam bath right in the privacy of your own spa bathroom. 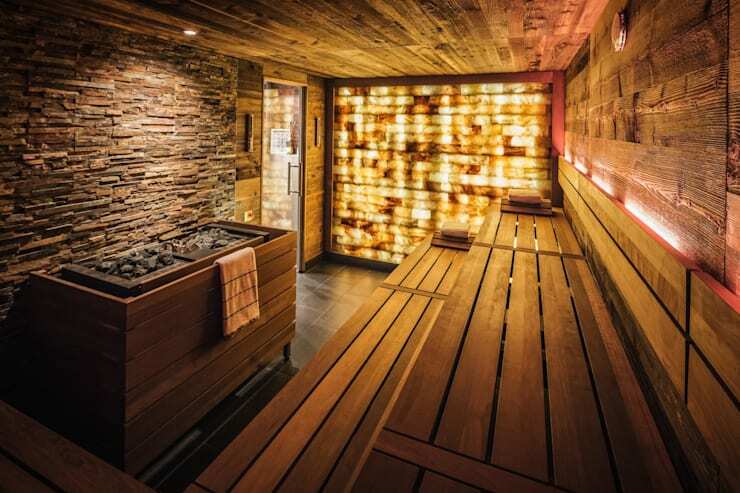 A sauna session can help to relieve muscle aches, increase metabolic rate, sweat out toxins, maintain healthy skin and get relief during sinus infections. Considering their multiple benefits, saunas have started to become a staple in every modern home. Today we will share some suggestions with you about creating and maintaining a better sauna. 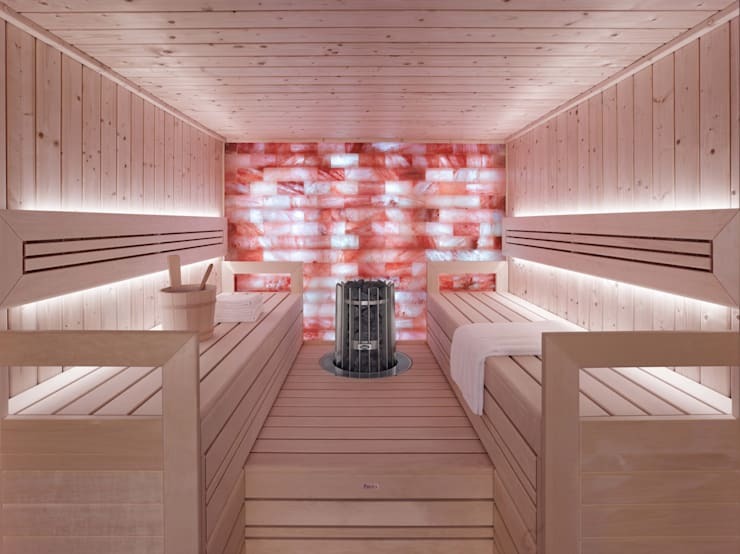 Over a period of time sauna received a most glamorous makeover. However, at heart it remains a log cabin on the icy terrain of Baltic region. For its chic interior, it continues to depend almost exclusively on high quality wood. Spruce, aspen and basswood are commonly used for wall panelling. Aspen’s light tone is particularly suited for inducing a calming atmosphere. Aromatic cedar has anti allergic qualities and is also preferred for sauna wall panels. Red cedar and basswood are most popular material for sauna benches. Sauna wood panels and benches should never be coated with such substances that emit harmful gases (formaldehyde, benzene etc) in heat. Also use galvanised nails so that they do not corrode over time. Wood burning sauna stoves are still considered most effective in building optimum heat. They are helpful in giving an authentic feel to any sauna. Wood sauna stoves also come with an option of having a bathing tank to use after the session is completed. But due to space crunch, building regulations and smoke hazards they are not always handy for use. Electric sauna heaters are most effective for small sauna installations. 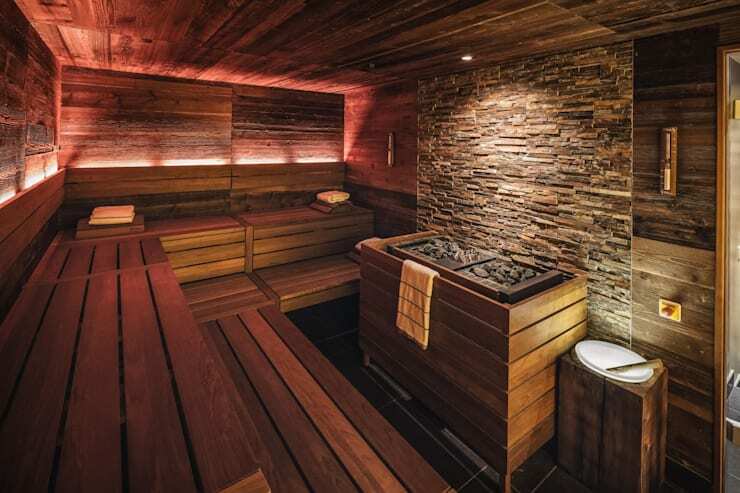 Residential saunas can also utilise gas sauna heaters. A high quality sauna must have proper ventilation. It will ensure comfort and hygiene of the bathers. Besides, it will help to maintain the health of your sauna installation. 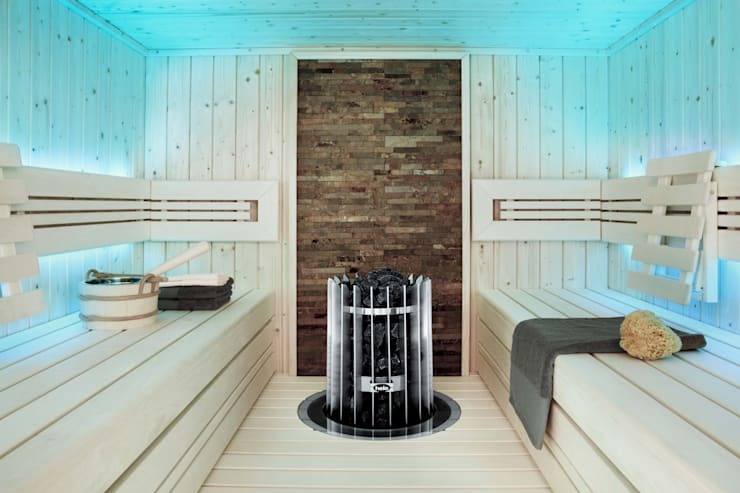 Generally, saunas are built with an upper outlet vent placed under the top bench and lower intake bench close to the heater at floor level. Small indoor saunas can keep a half inch gap under the door as well. Sauna chimneys remove smoke from the interior. Once your session is complete, remember to keep the vents and door open. This can minimise the growth of bacteria and fungi. Your sauna walls must also have proper foil vapour barrier to keep moisture out of the walls. This sauna designed by Corso Sauna Manufaktur Gmbh not only has proper ventilation in place, but also a window offering excellent views of the outside. 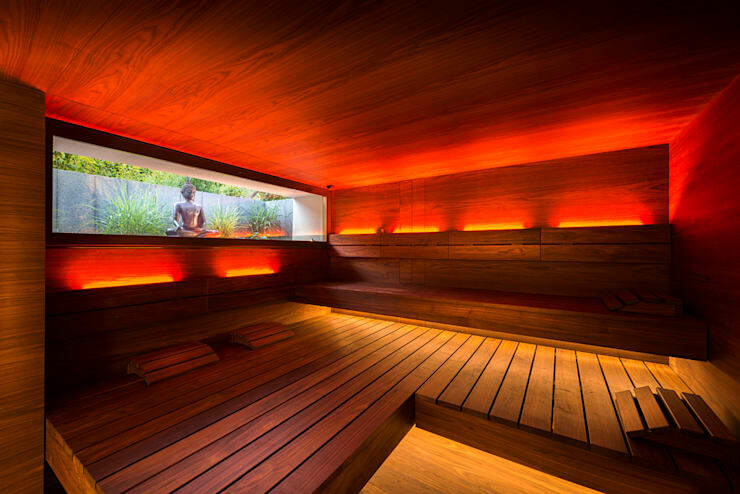 Sauna lighting should encourage a soothing mood without any added sense of drama. It will have to be capable of withstanding high temperature for a sustained period of time. Make detailed plans for electrical wiring at the very beginning and complete the process before installing wall panels. You can choose from bulbs, strips or fibre optic sauna lightings. Have lighting fixtures with dimmer function. To set the right ambient you may opt for fibre optic lighting in different colours. Embellish your sauna with beautiful but understated accessories. You may not imagine how much they are needed for a fulfilling sauna session. Simple accessories like wooden headrest, towel wraps or racks, buckets and ladle, fragrant eucalyptus or other essential oils, your preferred soaps, soft handmade towels like peshtemal and robes are prerequisites of an enjoyable sauna session. Pine or aspen timer, thermometer and hygrometer are some of the other important accessories that you should not forget about. If you like mellow music during your session, have sauna audio installed. A proper bathroom setting will only help to increase the charm of your indoor sauna. Choose minimal décor with wood features preferably having the same texture and colour as the sauna interior. Opt for a colour scheme that helps to have a relaxing time. Sanitary fittings must also be of premium quality but similarly discreet. Wood or porcelain tiles can be chosen for flooring. Do not go for flamboyant lighting fixtures in this part of your bathroom. Have large windows and mirrors to create a bright and cheerful ambience. For more ideas to give your bathroom a stylish makeover look no further than here. Commercial facilities use an Ozone Generator for sanitising sauna installations. Such facilities are also available for domestic sauna. Residential sauna, however, require less frequent cleaning and maintaining. Use specified solutions to clean your sauna. You may lightly scrub the surface with a mild solution of baking soda as well. Sauna wood panels, flooring and benches require periodic oiling to reduce the chances of water seepage and prolong the health of wood. Sauna chimneys need meticulous cleaning to eliminate chances of fire or any other health hazards.